Welcome to the Home Staging Guide. Staging is the art and science of enhancing a piece of property in order to sell it faster and for more money. In essence, staging is concerned with creating an environment of universal appeal to make the property irresistible. This definition makes property staging a beautiful mix of design and business tactics. Professionals who work in this industry are called home stagers. Staging is proven to increase the sale or rental price of property, while simultaneously decreasing the time it takes to sell. In the global real estate sector, staging is no longer considered optional and has become an inherent part of selling and leasing property. 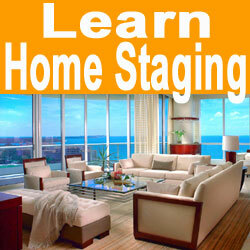 If you want to hire a real estate stager or learn home staging, then you have come to the right place! Our first objective is to detail all the benefits of expert staging and explain why the costs involved are a completely worthwhile investment. If you are planning on selling or leasing property, you need to understand that hiring a stager is something that you must do to maximize profitability. 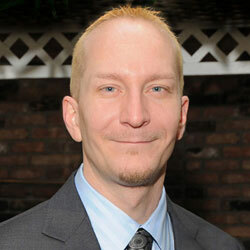 Our second goal is to provide an overview of the home stager career path. We cover the training that is required, the certification process and even help aspiring stagers get their first job in the industry. Want to become a home stager? We will help you to begin an exciting new vocation. Our third mission is to teach do-it-yourself home staging. From design to execution, we cover it all, allowing novices to create professional-quality results at a fraction of the cost of professional property enhancement. Even if you have no plans on selling your property, you can still use our expert guidance to improve the look and feel of your residence. Finally, our last ambition is to provide a source of continuing education for working property stagers and real estate professionals. We cover topics ranging from design to tools to business practices and consider it our responsibility to support all the hardworking people who compose our wonderful vocation. All of our resource sections are detailed in the navigation bar. Each section contains a variety of expert tips, guides and discussions which completely explore the topic in full. We offer a peer-acclaimed ebook that teaches you to become a home stager. The book is simple, inexpensive and will get you on the right path towards a new career right away. There is no better way to get started in this fun and profitable career!